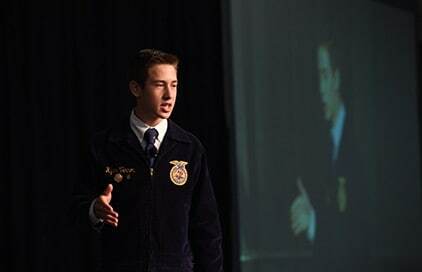 FFA members focus on skill development and career preparation through participation in Career Development Events and Leadership Development Events. 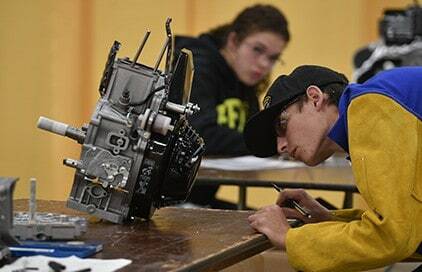 These competitive events develop individual responsibility, foster teamwork and promote communication while recognizing the value of ethical competition and individual achievement. Successful members expand their knowledge base by interacting with peers, teachers, as well as business and community leaders to gain a complete and comprehensive knowledge about specific career and leadership areas. 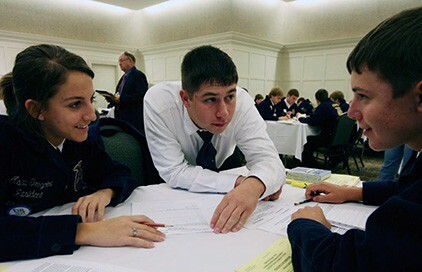 Students interested in journalism, broadcasting, web design and more learn to communicate effectively while advocating for agriculture. 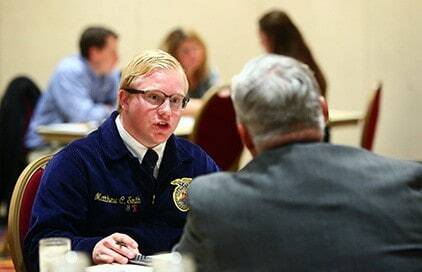 Participants research the pros and cons of an agricultural issue and present their findings to a panel of judges. Students work as a team to collaboratively build a sales plan and demonstrate skills in customer relations. 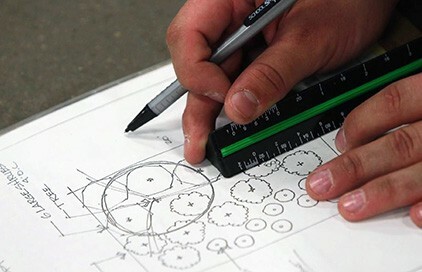 Students develop technical knowledge and an ability to work with others to solve complex agricultural problems. 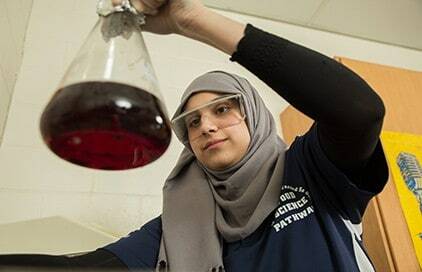 Students understand and demonstrate the many ways that science and technology collaborate to grow the world's major food crops. 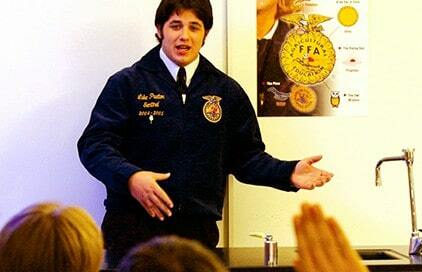 FFA members in Grades 7-9 are introduced to parliamentary procedure and effective meetings. 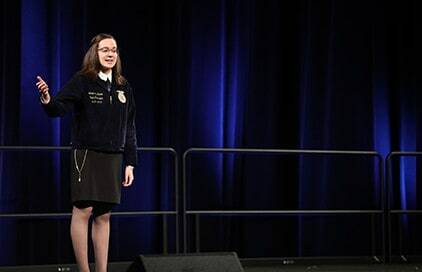 FFA members recite the National FFA Creed to develop public speaking skills and self-confidence. 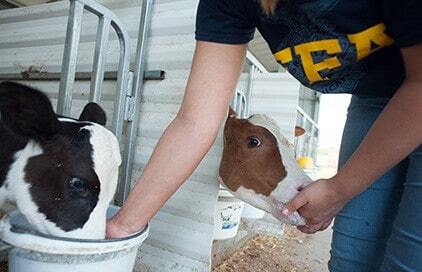 Students develop skills important to dairy cattle selection and herd management via this team-based event. 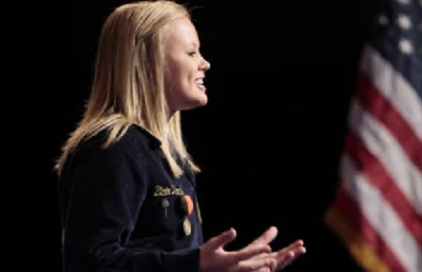 Handlers earn recognition for their ability to present dairy animals during the Dairy Cattle Management and Evaluation CDE. 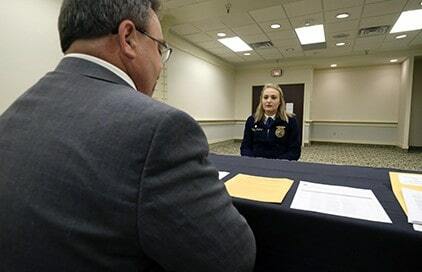 Participants in the National FFA Employment Skills Leadership Development Event (LDE) get a leg up on their future careers by developing the skills needed to seek employment in the industry of agriculture. 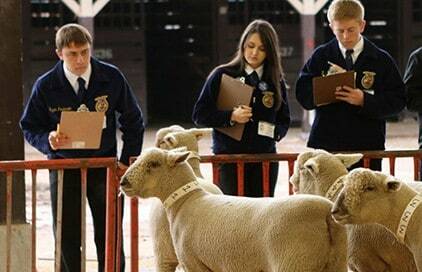 Students showcase their agricultural knowledge and ability to think on their feet in front of a panel of judges. 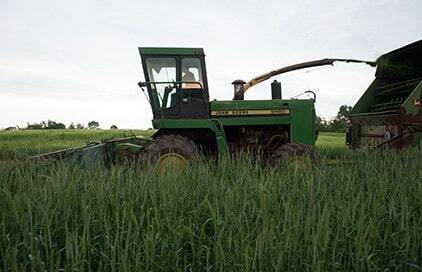 Students learn business skills and apply economic principles to agricultural businesses. 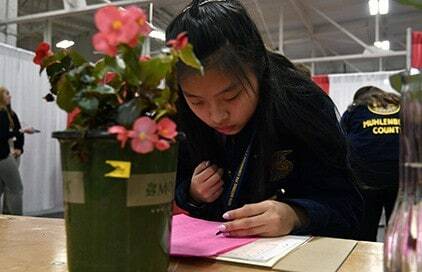 Students identify plants, judge flower arrangements and solve problems using skills important to horticulture and floral careers. 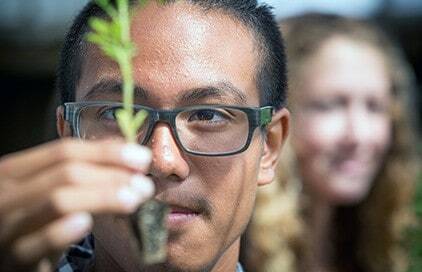 Students display an in-depth understanding of food product development, food presentation and food safety issues. 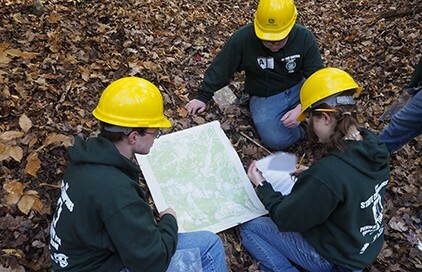 Students demonstrate their skills in diagnosing forest disorders, managing forests and forest inventory and applying approved silviculture practices. 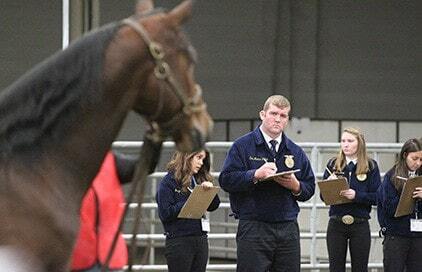 Students who participate in the National FFA Horse Evaluation CDE gain new insights into equine science. 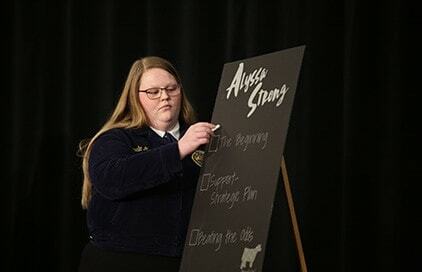 Participants in the Livestock Evaluation CDE cooperatively classify livestock as “keep” or “cull” for market and breeding purposes. 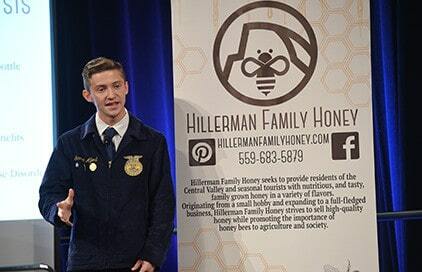 Participants in the Marketing Plan CDE present a marketing plan for an agricultural product, supply or service. 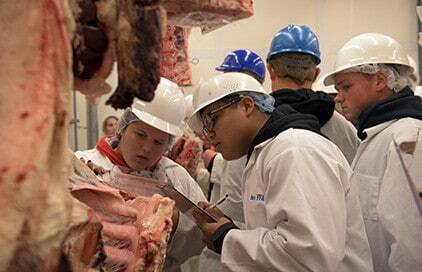 In the Meats Evaluation and Technology CDE, students develop the skills needed for careers in the meat animal industry. Participants in the Milk Quality and Products CDE demonstrate their knowledge about the quality production, processing, distribution, promotion and marketing of milk and dairy foods. 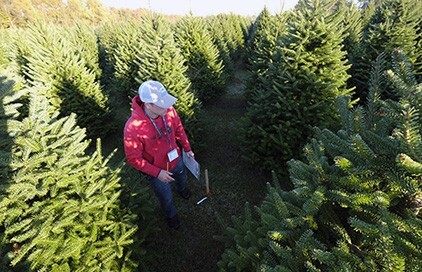 The Nursery⁄Landscape CDE tests students skills in horticultural principles, from landscape design to nursery propagation. 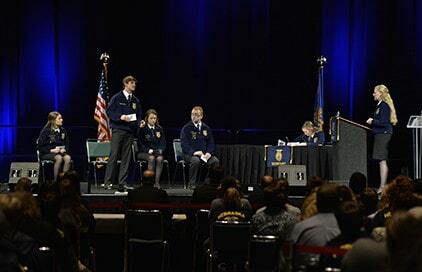 During the Parliamentary Procedure LDE, teams conduct a mock chapter meeting to demonstrate their knowledge of basic parliamentary law and the correct use of parliamentary procedures. 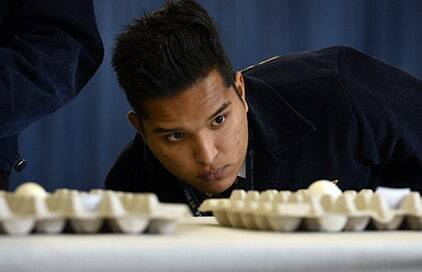 The Poultry Evaluation CDE test students’ skills in the production, processing, and marketing of chickens, turkeys, processed poultry products and eggs. 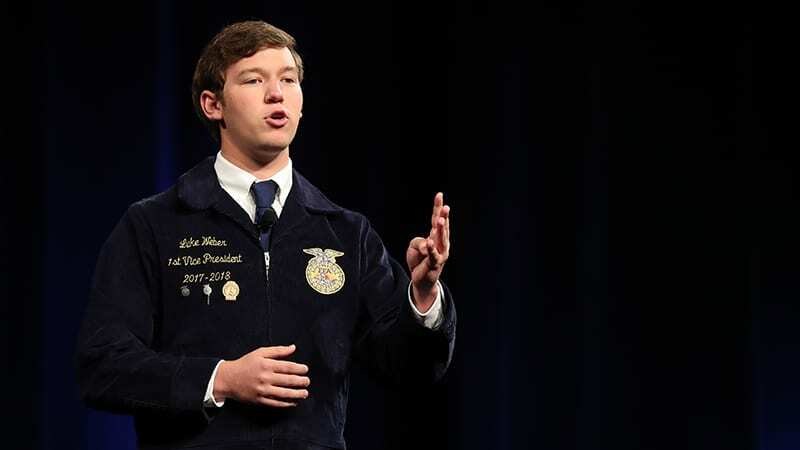 During the Prepared Public Speaking LDE, students present a speech on an agriculture-related topic. 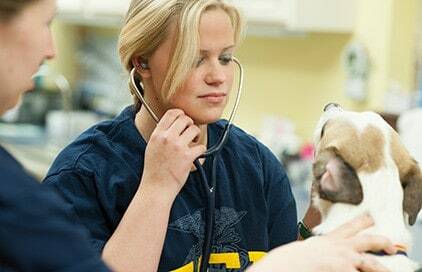 The Veterinary Science CDE provides opportunities for participants to develop technical knowledge and demonstrate practical skills in the field of veterinary science.